ACC Baltimore is a big show. for the latest item that makes their heart pound. We have been lucky to see & hear of our work passing thru, and it does not go unnoticed! 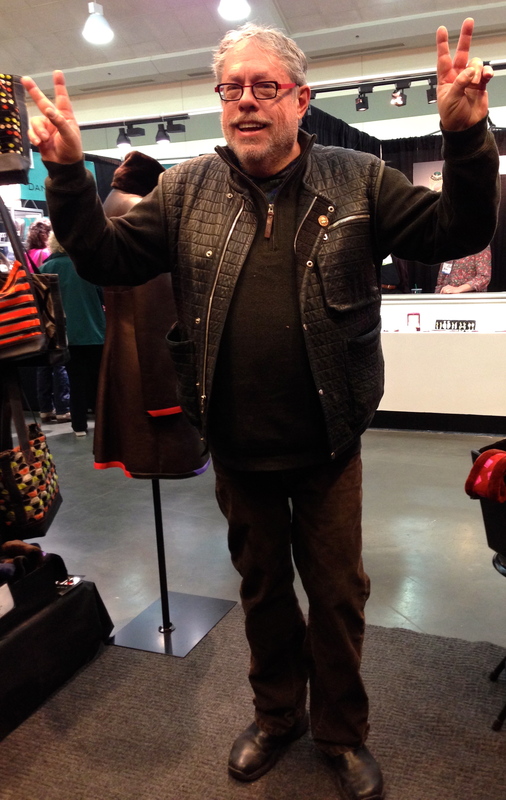 This year we had two come by wearing one of a kind pieces from our days of quilting Leather. Both loved and well worn, no one could remember if it was 10, 15 or 20 years ago? And still enjoying them! Do you have a “Vintage” piece of ours? Send a pic, or wear it to the next show, and I will take one! John wore a vest he commissioned, and Melissa had on a vest and a jacket! Thanks for stopping by!